Guide – What happens if you die without a Will? Protect your families future and decide what happens to your children, money, property and possessions after your death. Appoint someone to make decisions on your behalf, should you become unable to make your own decisions in the future. If a loved one can no longer manage on their own, you may need to apply to the Court of Protection to help them. When someone goes missing unexpectedly, they often leave behind unresolved personal affairs. We are a boutique firm of private client solicitors based in York, providing you with trusted, professional, and high quality legal advice for you and your family. Helping clients navigate the minefield of succession planning and the legal considerations that arise as you get older. Our fully qualified and experienced solicitors will always act in your best interests. We know the value of a friendly face. We pride ourselves in being able to build long-lasting trusted relationships. You can always expect us to treat you with the care and compassion you deserve. It’s not always easy to protect your family’s legal interests. We have published a selection of ebooks and guides to help you through some of these difficult times. These are all absolutely free to download. It’s not always easy to protect your family’s legal interests. We have published a selection of ebooks and guides to help you through some of these difficult times. Find our most frequently requested factsheets. These could help you make decisions about legal matters affecting you and your loved ones. 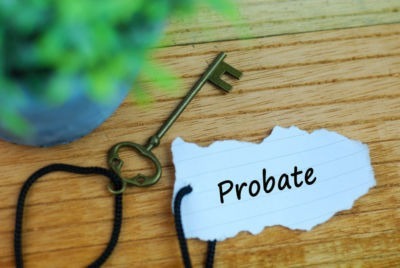 Increased probate fees were due to come into force in April 2019. Find out more about them and how they have been delayed. Obtaining a grant of probate is often a crucial step in the administration of an estate. Find out what the grant of probate certificate will be changing to. Plan & protect your families future. We can help you with Wills, Probate, Inheritance Disputes, Powers of Attorney and Court of Protection.